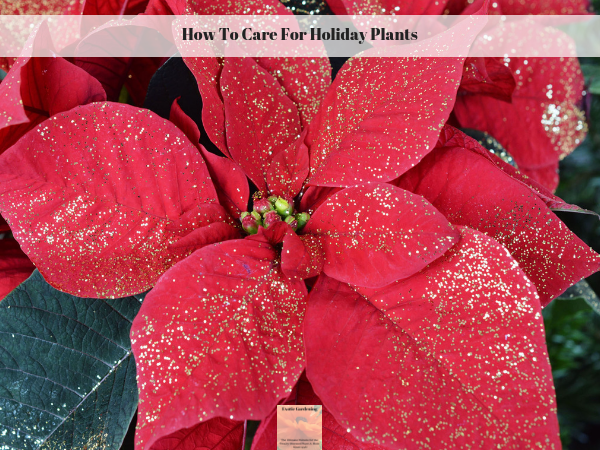 Have you ever wondered how to care for holiday plants such as the Poinsettia or the Christmas Cactus? Plants are especially popular during the holiday season. They are often given as gifts, but are also used to decorate both homes and businesses for the holidays. Once the holidays are over and the plants begin to lose their flowers or bracts, how do you care for them? Is it possible to keep them alive so you can enjoy them year after year or is it best to compost them right along with the holiday greenery? Many popular holiday plants such as the Poinsettia and the Christmas Cactus can be kept alive. They can also convinced to bloom the following year with very little care. 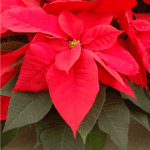 Poinsettias are easy to care for plants. They like indirect sun light and room temperatures no warmer than 70 degrees Fahrenheit. They prefer to have water withheld until their soil feels dry to the touch. They don’t need fertilized until after they quit blooming. 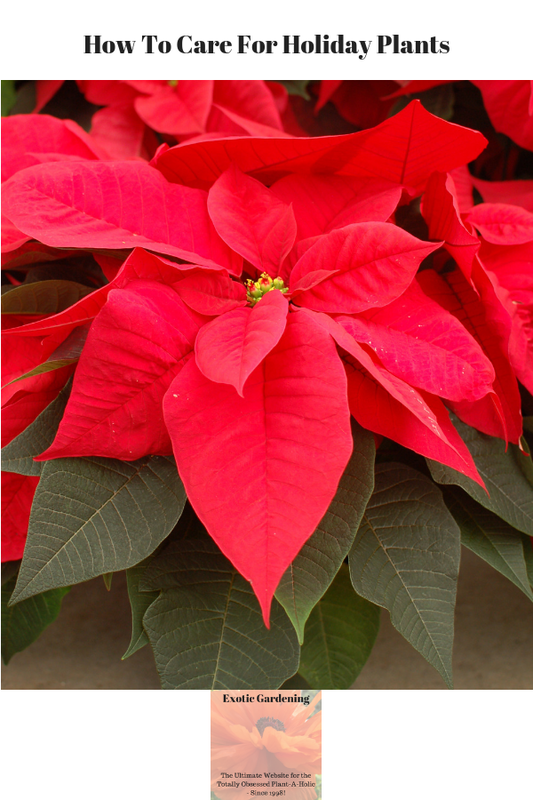 Once the time has come to begin fertilizing your poinsettia, you should only do it once a month. 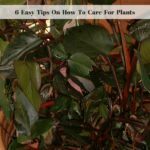 These plants can even be set outside in your garden this summer in a protected place, however the Poinsettia is going to want to bloom in the summer, so be aware of that. If the Poinsettia has already started to leaf out before the nighttime temperatures are above 50 degrees Fahrenheit, place it in partial sun until the plant adjusts. Once it is used to being outdoors and getting natural sunlight, you can move it to a sheltered spot in full sun. The reason you need a sheltered spot is because the branches are prone to breaking if there is high winds. In March and again in June, prune your poinsettia branches back so that your plant maintains its bushy shape. When the time does come to prune your Poinsettia, consider the current shape and size of the plant and then think about what you want it to look like. If your plant is tall, but you prefer a plant that is much shorter, trim it down. It is not uncommon to see Poinsettias trimmed back so they are just eight inches tall. Each time you trim your Poinsettia you are training it to become bushier because just like other plants, every cut creates a “Y” shape in the branches. In order to get your Poinsettia to bloom in time for the holidays, make sure your plant receives six to eight hours of bright sunlight and no less than fourteen hours of darkness each night starting October 1st. An easy way to make sure your plant gets the correct amount of darkness during this time is to place it in a paper bag or cardboard box in the corner of a closet once it has received the right amount of sunlight. It is important however that you do not forget to remove it daily so it gets the light it needs. After eight to ten weeks of following this regimen your poinsettia should begin to show color on its bracts. Once the colors begin to show, you can place it where you want it and water it as usual. When the blooms fade, place it in a bag or cardboard box in the corner of a closet in a cool room. Check on it once a month and if the soil is dry, give it a light watering. As soon as the excess water has drained off, place the plant back in the bag or cardboard box in the closet. When spring arrives and outdoor temperatures are over 50 degrees Fahrenheit, set it outside in a shady spot for the summer. Be sure to check to see if the Poinsettia needs potted up once it begins to show signs of growth. I don’t know many people who can resist the brightly colored blooms on the holiday cactus? The flowers, which come in shades of red, purple, pink, white and yellow, seem to glisten as they dangle, first as tightly closed buds, then as fully opened flowers, from the end of the green segments of stem. What many people don’t know is there are two types of Schlumbergera that flower during the holidays. It is aptly named because it begins to flower in November, which is a month before the Christmas cactus begins to flower. The real Christmas cactus is Schulmbergera bridgesii, which flowers during the month of December. When you first purchase your plant, look for ones that are already starting to bloom or at least have little buds forming. To get the longest season of bloom out of your holiday cactus looks for plants that have the little buds or buds that are still tight. Look for the botanical name if it is important to you to have yours bloom every year at a certain time. Be sure to check the soil in the pot to make sure it is dry. The exception to this rule is if you see someone watering the plant right in front of you. It is also a good idea to make sure the plant is not leaning in the pot. To convince your plant to bloom in consecutive years you will need to make sure the nighttime temperatures are below 68 degrees Fahrenheit but above 60 degrees Fahrenheit. If the temperature is too low the flower buds may fall off. Temperatures that are too high at night will cause a delay in flowering. Schlumbergera prefer full sun in the winter months, so either place your plant in a window or use a grow light to supplement. In the summer, move your plant to a fully shaded area indoors once the nighttime temperatures are above 50 degrees Fahrenheit. The hot summer sun can scorch the leaves of these plants. Continue with the watering schedule below during the summer months, however it is important to understand that higher temperatures will dry the soil out quicker than typical indoor temperatures. Holiday cactus are epiphytic plants which means they typically grow in decaying matter in their native environment. When they are grown in container culture they need a potting mix that drains well. The ideal potting mix would be a combination of perilite, vermiculite and peat moss in equal amounts. Proper watering of your holiday cactus is important. 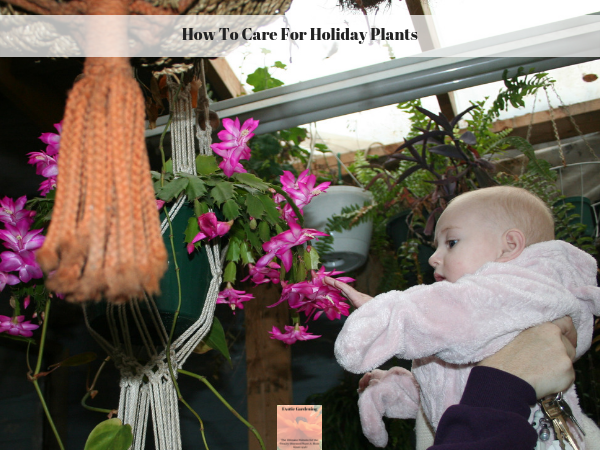 The biggest mistake people make with holiday cactus is improper watering. Water early in the day so the foliage will dry before the night temperatures begin to fall. Try to keep the soil evenly moist. Touch the soil, if it feels moist, you are ok. If the soil is soggy or dry, you need to water the plant. Make sure to dump the excess water that runs into the saucer after about half an hour so your plants roots will not rot. Improper watering, too much or too little, is one of the main reasons why most houseplants die. The temperatures that your plant are subjected to will determine how often you need to water. Once your plant is done flowering, you can share starts of your plant with friends and family. To share a start of the plant, cut off a leaf segment that has four joints, allow it to lay and dry for a day or so. Once the cutting is dry, dip it in rooting hormone and place it in a well draining potting medium, out of direct sunlight. Within three to four weeks your cutting should begin to root. Once it begins to root, water it just like you would a full size plant. Holiday cacti are very easy to care for plants that require very little time. 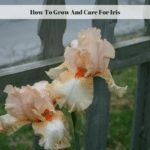 Following these basic care tips should insure that your holiday plants will continue to bloom for years to come. You will also end up with lots of opportunities to propagate the plant so you can share starts with other people or grow more plants for yourself. Finally, if you do move your plants outside in the summer, remember to do it gradually and research their preferred outdoor growing conditions so you do not shock or kill them, after all, you didn’t throw them out this year with the holiday greenery so you sure don’t want to compost them now!